This is a raw documentary on UFOs with tons of never seen before UFO footage captured on cameras by credible eye witnesses and security cameras from all over the world. There is some compelling video evidence of these flying anomalies from Mexico, England, China, Japan, New Mexico, Puerto Rico, Nevada, Belgium, Germany, Florida, Brazil, Arizona (The Phoenix Lights) ... and of course the NASA tapes of Classic UFO footage from Earth's Orbit.... the same phenomena seems to be occurring all over ! 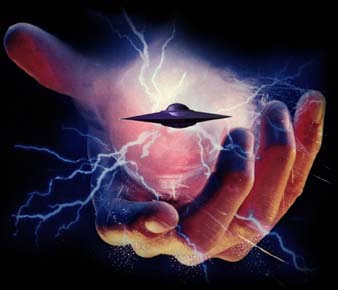 Cases of these mysterious lights, bright flying saucers, cigar shaped UFOs, egg shaped UFOs, triangular crafts and some uniquely designed flying objects are mushrooming everywhere and in mind rattling numbers .... Most of these bright colorful lights are seen moving consciously in a rhythmic pattern sometimes coalescing as one and consequently splitting into many similar bright orbs of light also materializing and dematerializing at will ! The same phenomenon is also visible in one of the UFO videos from India.